Why replace your kitchen when you can simply reface it? 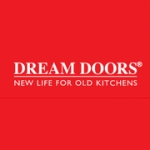 At Dream Doors Derby, our locally owned, family run business offers a quick and cost-effective alternative to a kitchen refit- our fantastic range of replacement kitchen doors, worktops and extras. Changing as little or as much as you like, we offer everything you need to make your kitchen dream a reality. Using the very latest design software, we can provide you with photorealistic impressions of your kitchen ideas, before you commit to anything. This will help you to help you make informed decisions, ensuring a kitchen that is nothing short of perfect. This service is completely free of charge and customers are under absolutely no obligation to buy. Dream Doors Derby offers replacement kitchen cupboard doors, worktops and fitted kitchens to all local DE postcode areas. This includes Burton upon Trent, Swadlincote, Ilkeston, Belper, Matlock, Heanor, Ripley, Barton-under-Needwood, Somercotes, South Normanton, Bakewell, Ashford in the Water and all local Derbyshire UK areas.